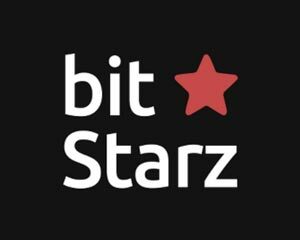 Deposit Methods: Gift Cards, Bonus Card, Club Card, InstaDebit, MasterCard, Person2Person Money Transfer, Visa, Money Order, NETELLER, Bitcoin as deposit method. 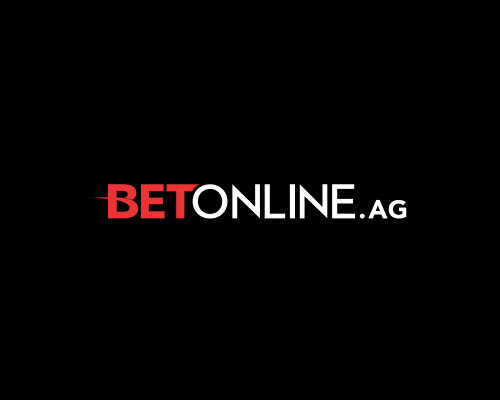 Withdrawal Methods: Money Order, NETELLER, ACH, Check. 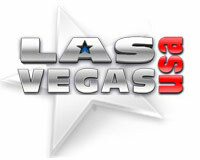 Look to Vegas Casino Online for all the excitement of Vegas from the comfort of your own home! This is the perfect site for those that can’t get away. 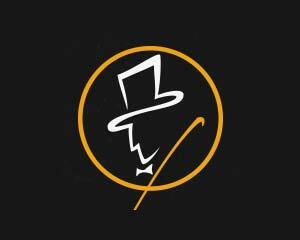 You can enjoy top notch service, super high bet limits, and an unmatched comps program. 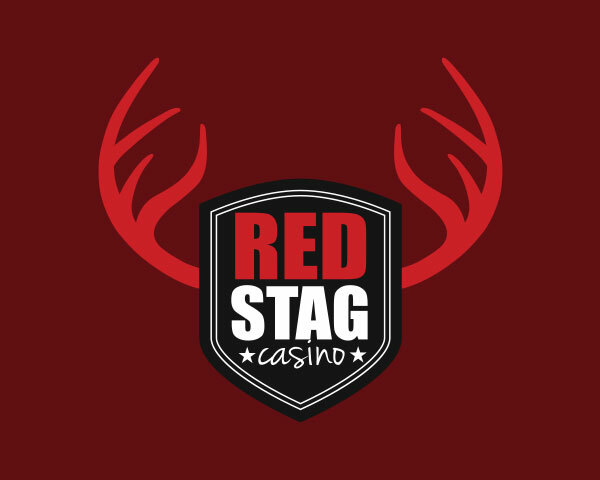 Play all your favorite and exciting games including video slot machines, Caribbean Stud Poker, popular card and table games, video poker and more! 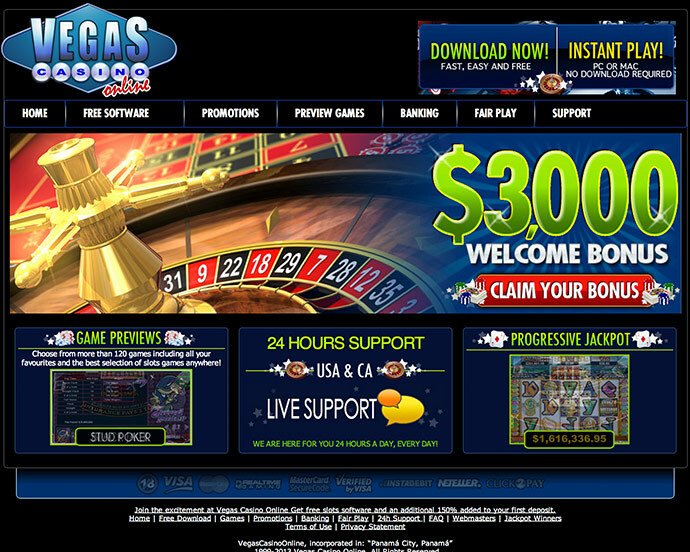 There are over 200 games to choose from so there is no shortage of selection. 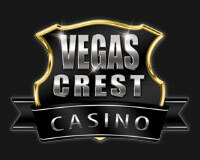 But what you don’t get a Vegas is EXTRA CASH when you make a deposit! 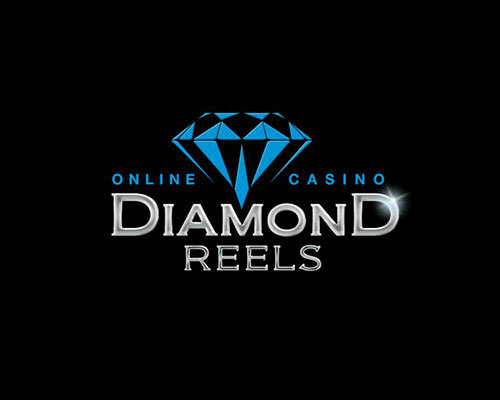 Vegas Casino Online offers one hundred and twenty five percent (125%) on your first $100 deposited and an additional 25% on any amount deposited over $100 for up to $25,100 in bonus money! 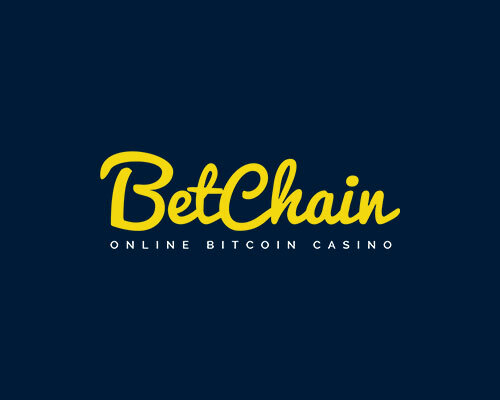 A bit confusing but here is a bonus example: If you deposit $350 and get $125 on the first $100 of your deposit plus 25% ($62.50) on the remaining $250. 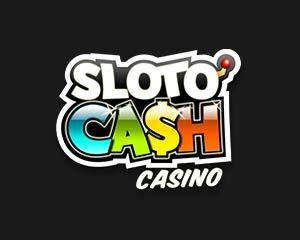 A total of $187.50 in bonuses giving you a starting balance of $537.50! You don’t even need a coupon code to claim this as the bonus is granted automatically after you make a deposit! 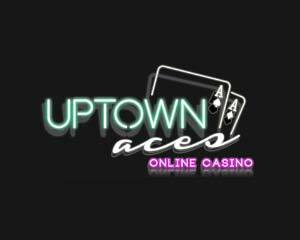 It’s also 100% cashable once you’ve met all the wagering requirements (40X deposit plus bonus). 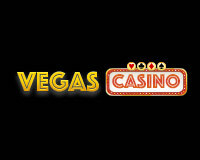 Vegas Casino Online offers a wide variety of weekly and daily bonuses to their loyal players. Look for extra promotions if you also use their preferred methods. There’s really no need to play elsewhere! 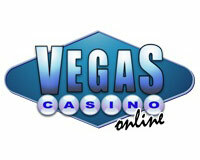 Vegas Casino Online does not accept players from the following countries: Morocco, Bahrain, Malaysia, Costa Rica, Bosnia and Herzegovina, France, Germany, Netherlands, Russia, Spain.